2 out of 3 Australians will be diagnosed with skin cancer by the age of 70. A high proportion of these cancers occur on sun exposed surfaces such as the face and a significant proportion will have an aggressive pathology in highly cosmetically sensitive regions. These locations are often defining features of ourselves. 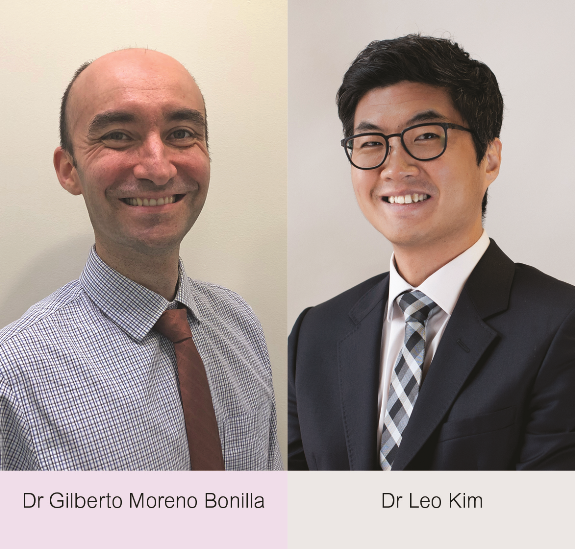 Dr Moreno and Dr Kim will give their perspective on what they consider a gold standard in treatment of skin cancer under these specific indications. They will outline the progress being made in the working relationship between Moh’s surgeons and Plastic surgeons with a special interest in this reconstructive space. Dr Gilberto Moreno Bonilla is a Dermatologist and Mohs Surgeon. He holds a Senior Lecturer position at the Medical School, University of Sydney and his work has been presented at local and international meetings. He has also been published in peer reviewed journals. He is a VMO at The Skin Hospital, Westmead and Royal Prince Alfred Hospital and is a Staff Specialist at Royal North Shore Hospital. Dr Leo Kim is a Specialist Plastic Surgeon and a fellow of the Royal Australasian College of Surgeons. He holds privileges as an admitting surgeon at The Skin Hospital (Darlinghurst and Westmead), Castlecrag, Hunters Hill and Chatswood Private Hospital. Special interests include skin cancer reconstruction, eyelid surgery and general aesthetic surgery.